It’s a bit rainy in Maine this week, so our guests were looking for something to do that is mostly indoors. 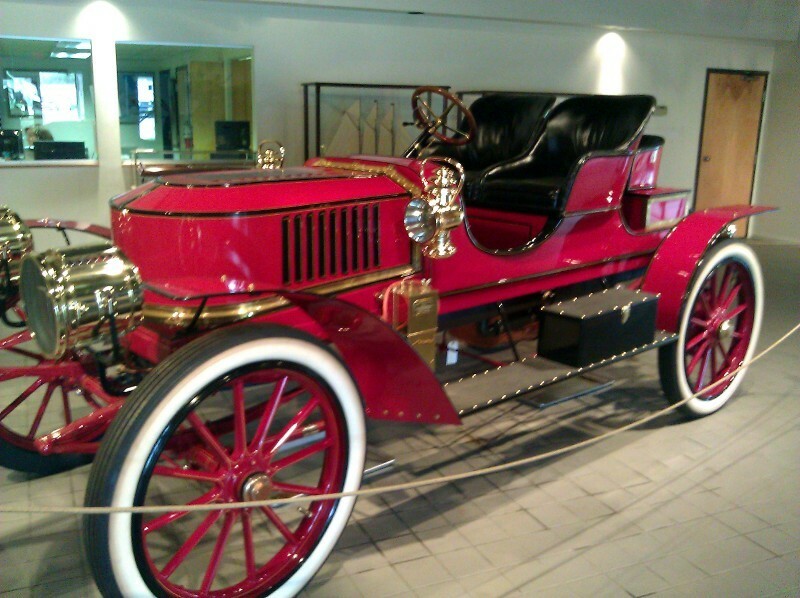 We quickly recommended the Owls Head Transportation Museum for an easy drive up US-1, and a nice day of exploring cars, planes, and more. Just recently we made our first visit to the museum to see what they had to offer. We were surprised to find it considerably larger than we had expected, and filled with wonderful examples of antique autos and aeroplanes, plus a number of other interesting devices (like the Model-T snowmobile, or the Bi-Autogo – kind of like a large motorcycle, with a V-8 engine, a body like a car, and retractable side-wheels to keep it steady at lower speeds). The aircraft include a Fokker Tri-Plane (think Red Baron), a Spad (Eddie Rickenbacker), and a Curtis “Jenny”. You can even take a ride in a 1978 Piper Cub, a 1941 Stearman biplane, or a 1933 Waco biplane. A bit pricey, perhaps, but the thrill of a lifetime! 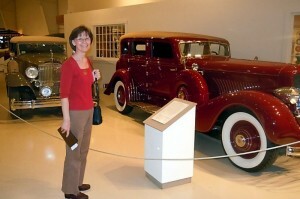 Ruth’s favorites were the Duesenberg and the Packard near the entrance (left)! We also enjoyed the collection of antique MG’s – there were several different models scattered throughout the museum – as well as the various old Model-T’s and other wonderful exhibits of historic automobiles.